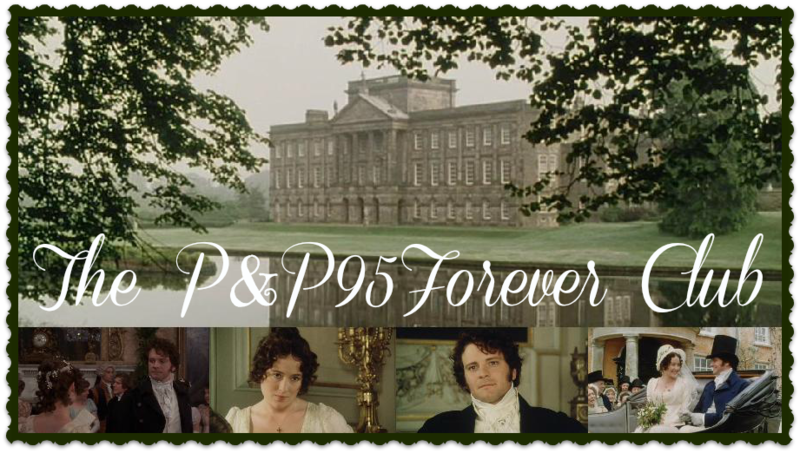 The P&P95Forever Club: Congratulations Contest Winner! My very kind brother came back from London this afternoon, where he had business, and has just this moment made me and Elizabeth a very pretty present of your latest novel. The three volumes are themselves very elegantly made and present a most tempting sight indeed. My sister and I are very much looking forward to reading Pride and Prejudice in it's entirety. We must thank you again for allowing us to read a few chapters when we met you in town this past summer. How Elizabeth laughed at the chapters concerning Mr. Collins, particularly the proposal he made her! I confess to a good deal of curiosity to read how you have described my own self. Elizabeth assures me that you could have nothing but the highest praise for me, I am not so assured but trust to your capable hands. I must draw this letter to a close as my sister and brother are quite anxious to beginning reading and we have promised to read it aloud to one another. We three send our warmest congratulations on the publication of your "dear child" and pray that Pride and Prejudice will prove as much of a success as you could yourself wish. A big thank you to everyone who participated-- check back Monday for a new game! Congratulations Miss Laurie! :) Georgiana is one of my favorite small characters from P&P. This was such fun, thanks for hosting ladies!